Your business sends many different types of correspondence during a customer’s lifecycle. Examples are welcome packs, statements, bills, letters, purchase confirmations and collection notices. 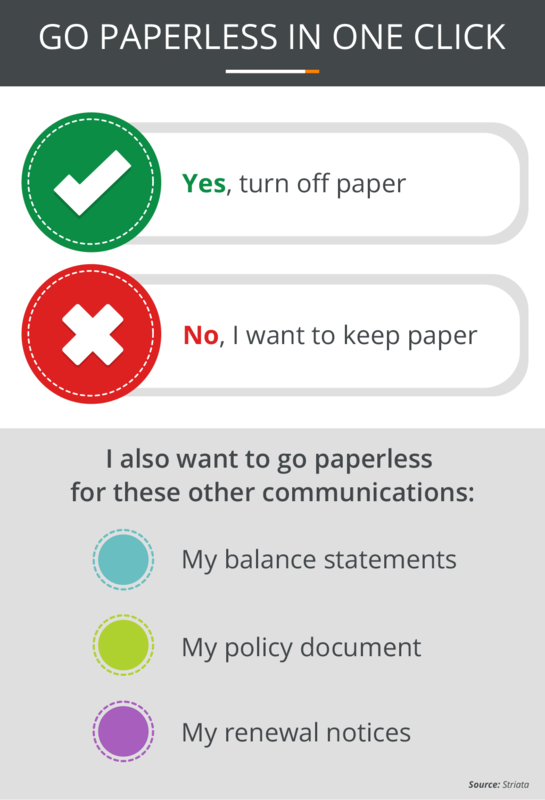 Our secure document solution will help you turn off paper correspondence and increase the value of day to day customer communications. Switch to secure document delivery and reach customers via their preferred communication channel, while making it easy for them to engage with your business. In return, you will reap the benefits of increased customer loyalty and significant cost savings. Reduce paper, printing and postage costs by converting your customers to digital documents and achieve high adoption of the digital process through our proven conversion methods. Make ‘segment of one’ your objective when sending marketing offers, letters and notices, by leveraging your data. We can help you achieve such incredibly specific customer segmentation, that the message each person receives is unique to them.